In cities bird droppings are a common site to see, so much so that we do not think much of them, but that is due to companies such as OvenKing regularly cleaning areas which are heavily effected. In reality, if left in monitored, bird droppings in cities would build up extremely fast creating many unsightly areas in the city and could potentially help spread disease, although bird droppings are very unlikely to cause spread of infection. So due to this, OvenKing remove bird droppings to help keep our “streets clean”, in turn helping to maintain Dorsets aesthetically pleasing presence. 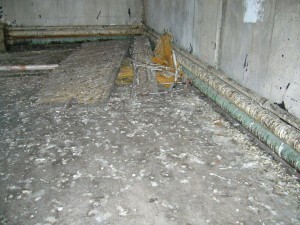 When it comes to bird dropping cleaning in Bournemouth Poole and Christchurch, it is essential to wet the area first to prevent the cause of dust which will help prevent you contacting any form of infection or disease. Whether you’re looking to install anti perching equipment or are looking to give a general clean to improve an areas appearance there are particular steps that must be followed. Here at OvenKing we have devised our own tried and tested method for producing the best results and can guarantee your satisfaction once we have finished the job. If you are looking for a guano cleaning service in Bournemouth Poole and Christchurch, look no further, OvenKing are here to help, give us a call on 01202 70 50 45 and speak to one of our friendly staff members who will be happy to answer any questions you may have!